Hiring out search engine optimization can be scary. SEO, in general, seems like it’s a magic trick, and there’s so much that could potentially go wrong if you’re not 100% sure of what you’re doing. So to help you navigate the sometimes murky waters of hiring an SEO company, I’ve put together this simple guide. In it, you’ll learn what makes an SEO agency great, and why they’re important to the success of your brand. I’ll also show you some questions to ask before you spend your money, and share some of the common pitfalls you may experience. First though, let’s look at some fundamental elements that can tell you if an SEO company is even worth moving forward with. 1. How often do we communicate, and what’s that process like? 2. Have you done SEO for anyone in my industry/clients like me? 3. What contract options are there? What does canceling look like? 4. Do you guarantee results? 5. Do I own my website and analytics? 6. Can you describe the issues on my site that can be improved to help my ranking? Before you pick up the phone or schedule a sit-down with an SEO company, one of the best ways to assess them is to click around their website. There, you’ll be able to look for a few crucial elements that indicate quality. This is the first sign that tells you the agency has the knowledge and experience to truly help you. They’ve spent time studying and mastering Google’s SEO best practices and can pass their knowledge on to you. Another clear sign that your potential SEO partner may be a good choice is that they show a proven track record. This usually takes the form of self-published case studies or reviews and testimonials on their site or Google and Yelp. Read through case studies to see what the company did, how they achieved success, and find statistics if you can. While this isn’t a guarantee that they can help you, it’s a sign that they may be a good company to look closer at. You still need to ensure that everything they do is good for your business. With that in mind, let’s look at some of the vital questions you’ll need to ask them during the hiring process. When you’re hiring an SEO company, it’s’ important to treat the process like a job interview. Is this company going to help you? Do they fit your culture, and can they handle your brand with enough care to benefit your business? This is a two-way process. So to help you notice the red flags, I’m sharing six essential questions you need to ask in this process. When you’re partnering with an SEO company, you’re creating a strategic business partnership. Brands don’t do SEO because it’s popular. It’s popular because SEO helps them make money through long-term growth. When you go into a partnership like this, you don’t do it lightly. Imagine you were looking for a partner to start a business with. You would assess that person’s resources, experience, and how well you mesh with them. Or in other words, you would see if it’s easy to communicate with them. 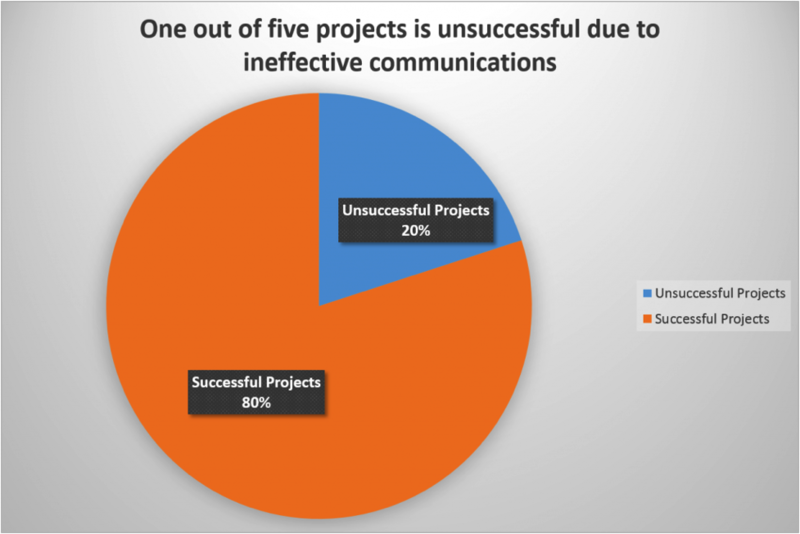 One in five projects fails due to poor communication between partners. So you need to know how your SEO company plans on keeping you in the loop. Will they provide regular reports? Will they give you a point of contact or account manager? These answers will help you see if your potential partner can be trusted, and is a good initial indicator of an SEO company that knows what they’re doing. Set these expectations early, and you’ll have a clear path forward. SEO is industry-specific, and that means that every brand is going to bring nuances to the table. Having an SEO that knows your industry or is capable of in-depth research can make all the difference in the world when it comes time to create content. For instance, sometimes it can be profitable to research and leverage low-competition keywords. One brand was able to capitalize on some low competition keywords with high search volume in an effort that brought them 10,000 unique visitors in just one month. 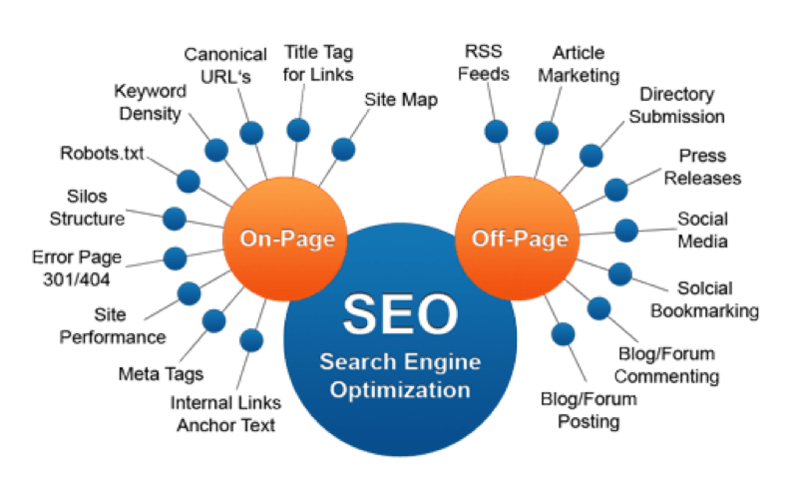 But without industry knowledge, this process will get overlooked in favor of SEO methods that your competition is probably already doing. They should be able to understand the nuances of your business, customers, bottom line, marketing channels, and competition. If they can’t prove this, you need to walk away. There’s no one-size-fits-all approach, good SEOs will be flexible to your budget and needs. 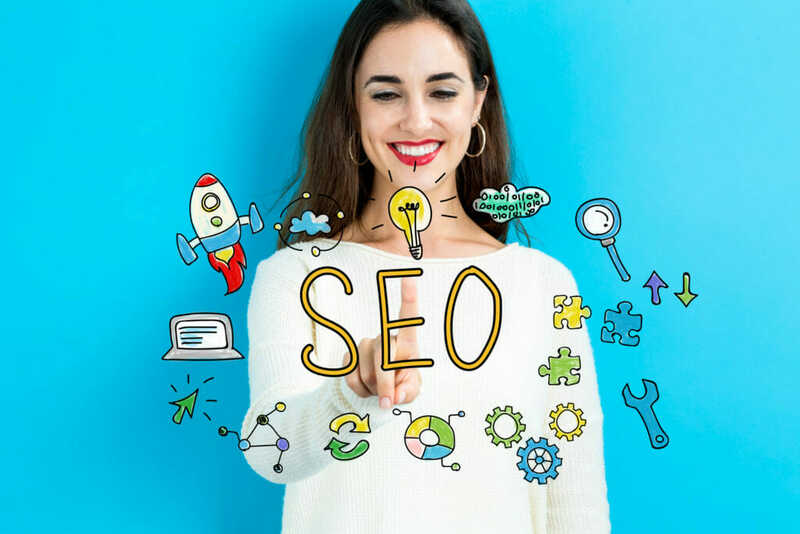 For example, many SEO companies offer different payment and retention structures that let you build a custom SEO program that meets your budget and your long-term goals. A monthly retainer is usually a long-term, indefinite arrangement, whereas hourly consulting may be a resource you use two or three times per year. Your contract should reflect this. Some SEOs will also charge a fee for early termination or have a specific cutoff date for their contract. That’s not necessarily a bad thing, but it’s certainly something you want to note. And any of these options are fine, so long as the company delivers on their promise and don’t try to hide shady practices under Legalese. Above all else, you need to know how you can get out before you get in. That covers everything from contract term to performance-based incentives. If you see any of these elements in a contract, run away. Reliable SEOs don’t give guarantees. With SEO, there are too many moving parts to know when and how success is going to happen. Each client is different, and the needs are going to vary from case to case. This makes SEO impossible to guarantee. Avoid people who make these types of concrete promises or have a “secret sauce” that brings them success. 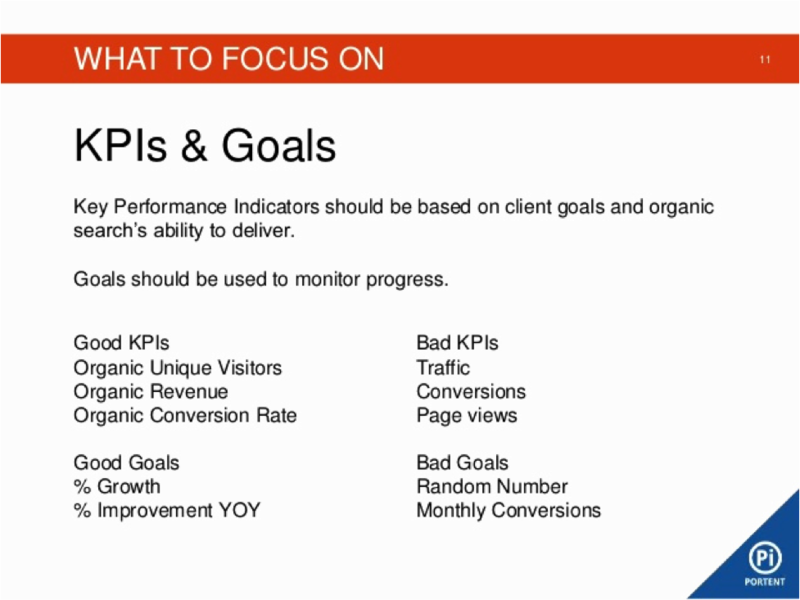 Instead, your SEO should talk about the KPIs they intend to report. For example, rankings are a baseline KPI that should always be on the list. But rankings aren’t the ultimate goal. You should also get updates on website traffic, and the leads that you win from it. 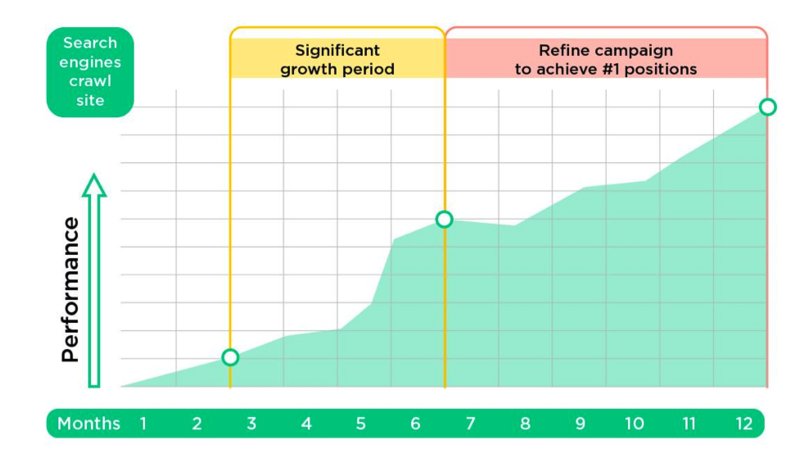 And most importantly, you need to know the revenue figure that’s coming from your SEO efforts. 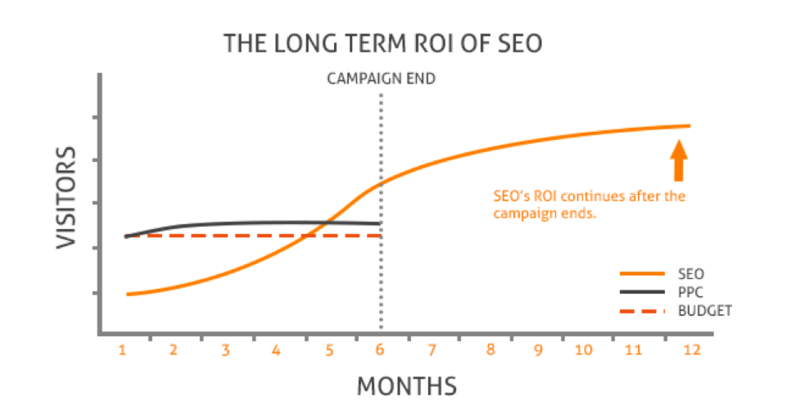 Without strong ROI, your SEO efforts are likely moving in the wrong direction. The best SEO companies provide results. They don’t guarantee them. 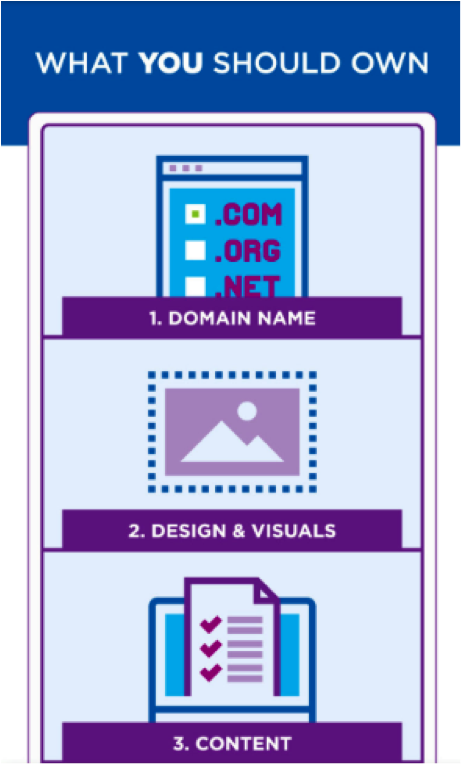 Many SEO companies will claim some ownership in your site, or possibly even all of it if they build it from scratch. But if your contract ends early, possibly even mid-build, this could leave you high and dry. So it pays to talk ownership in both the short and long-term for your website, analytics and any other online services you have them monitoring. It’s also a good idea to have control over your source code, content management system, and analytics accounts as well. While your SEO will need access to these to do their job, consider using a service like LastPass that can lock them out if things go south. Make sure you also dictate who has access to this info, what they’re allowed to access, and what they can share in the long run. 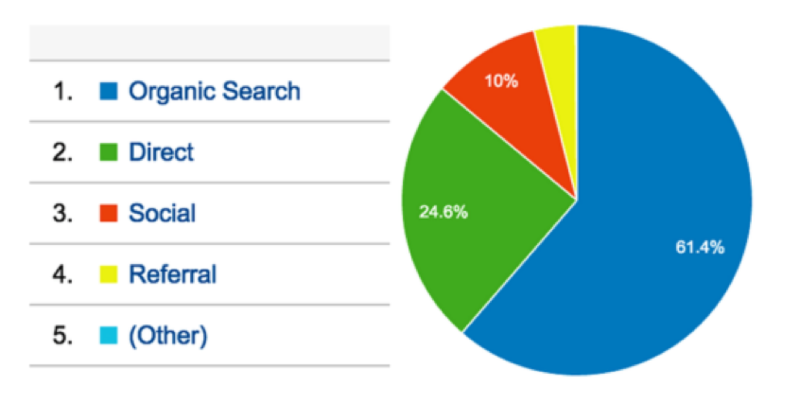 It’s also helpful to keep tabs on analytics personally, especially if you have some SEO savvy. This is a fairly nuanced question that deserves (and should receive) a direct response. It’s essentially the lowest bar that any SEO should be able to hurdle. The answer should be different depending on where you are in your SEO journey. For instance, if you’ve had SEO companies help you before, you probably have a defined strategy in place and basic on-page SEO. If a potential SEO hire ignores this strategy and previous work in their assessment, then that’s a clear red flag. Knowing where you stand and looking for good answers will help you weed out the BS and pick an SEO agency that can provide a path forward. Hiring an SEO company is always going to be an involved process, but there are some common pitfalls that you can avoid that makes the process smoother in the end. If you’re looking to outsource your SEO, make sure you steer clear of these missteps. Spending money on anything without clear goals is probably always going to be a waste of money. So when you start building your SEO, it’s good to go into the process with some goals. As with most marketing efforts, you can use the SMART system to ensure that these goals are clear and actionable. But what makes a good SEO goal? As mentioned earlier, the biggest indication of success with SEO is going to be the revenue that you generate. So your goals should be centered around what type of growth you want to see there. The percentage revenue increase you want to shoot for. The conversion rates you’d like to see. How many unique visitors you’d need to meet revenue goals based on your conversion rates. With these goals in mind, you’ll have a clearer path forward for both your SEO hiring process and the initial building phases after hire. If you want a return on your investment, you have to invest first. 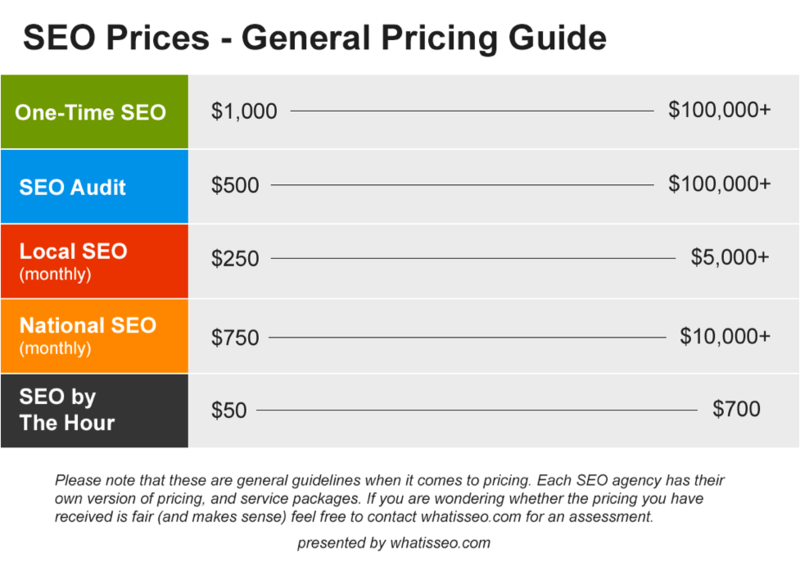 A good SEO will cost a pretty penny. If they’re truly putting in the legwork of optimizing your site and creating high-quality content, they’re worth every penny. So do yourself a favor and define your budget before you start interviewing your shortlist of SEO companies. You need to be flexible enough to pour money into the areas that bring you the most traffic or that need the most growth. If all of your traffic is coming from organic search, you need to spend more time with SEO content writing than on a social video. A quality SEO company will most likely be on board with this approach, and will hopefully help you fine tune it. In our digital, binge-watching world, we want everything five minutes ago. But SEO doesn’t work that way. Search engines are complicated beasts. They constantly push updates, and SEO is always going to be a competitive endeavor. It takes time. But even that estimation is likely on the lower end. If you’re starting from scratch, or if your industry is particularly competitive, then it may take even longer. And even if you do see early results, you’ll need to build on your successes. You may see results in the mid-term, but one of the key tenets of SEO is to always be tinkering and trying to improve even more. If you let your impatience get the best of you, you’ll never be happy with any SEO, good or bad. You’ll simply open yourself up to people who want to take advantage of your impatience and leave you high and dry. Let’s be clear; these distinctions aren’t an assessment of ethicality or moral uprightness. But Google has clearly fine-tuned their algorithms to favor white hat methods like building high-value content and optimizing the technical elements of your site. 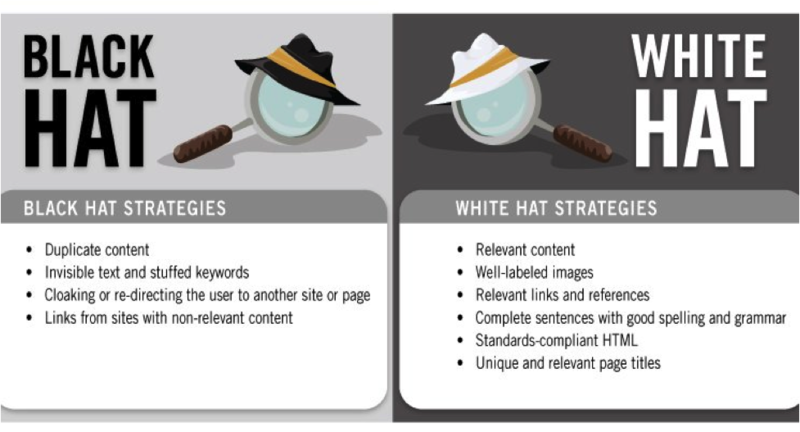 It’s essential to ensure that your SEO company is going the white hat route. You need high-quality backlinks, a balanced keyword strategy, and other long-term oriented methods. Shortcuts will probably end up costing you even more money in the long run anyways. 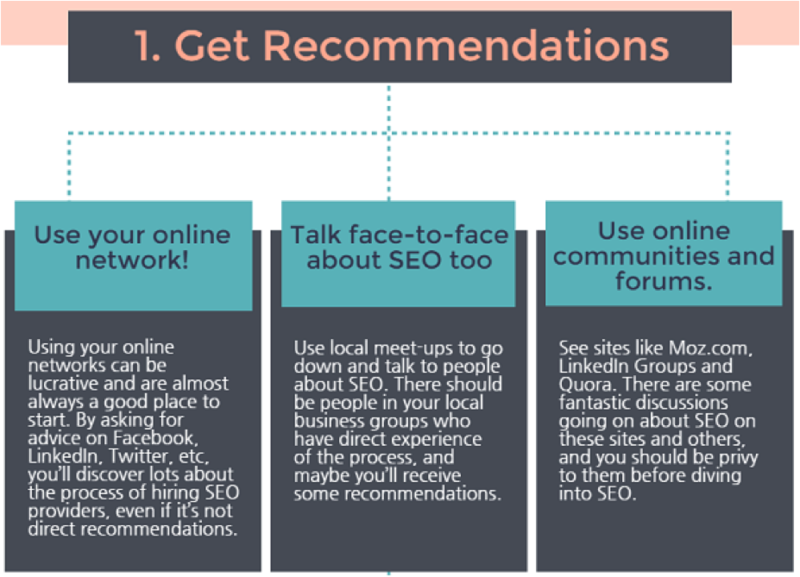 One of the best ways to find a reliable SEO is to look within your network for recommendations. Or if you don’t have anyone in your network that can provide recommendations, find discussion boards on LinkedIn, Quora, or Moz and ask if the SEO company your considering is reputable. All of these have active SEO communities that are more than happy to push you in the right direction. Aside from that, make sure you don’t skimp on the interview questions provided above. If you see any red flags, run the other direction and find someone else. SEO can be scary, but it doesn’t have to be. It’s a path forward for many brands that allow them to grow their brand and build impressive revenue streams. But you have to invest and partner with a solid SEO company. When you sit down with an SEO agency you’re thinking about hiring, ask them the questions above. Turn them away if you don’t like what you hear, and start looking for an SEO agency that can truly help you. And make sure that you avoid the other common pitfalls we discussed. The more prepared you are going in, the faster you can make a difference with your new SEO partner.